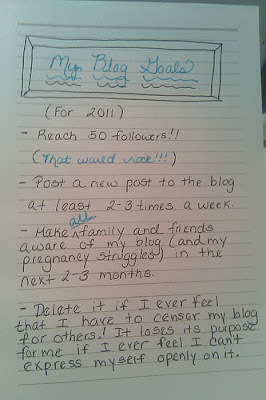 Been slacking on my 30 Days of Lists blog project! And ironically, the list topic for today is My Blog Goals. Post a new post to the blog at least 2-3 times a week. 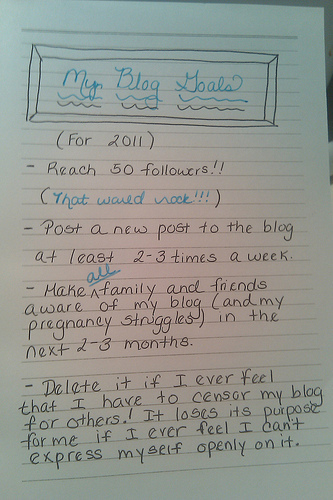 Make (all) family and friends aware of my blog (and my pregnancy struggles) in the next 2-3 months. love these goals girl! I think you can do it!!! and yay for you still doing the list thing - i totally fell off that wagon! grrr.